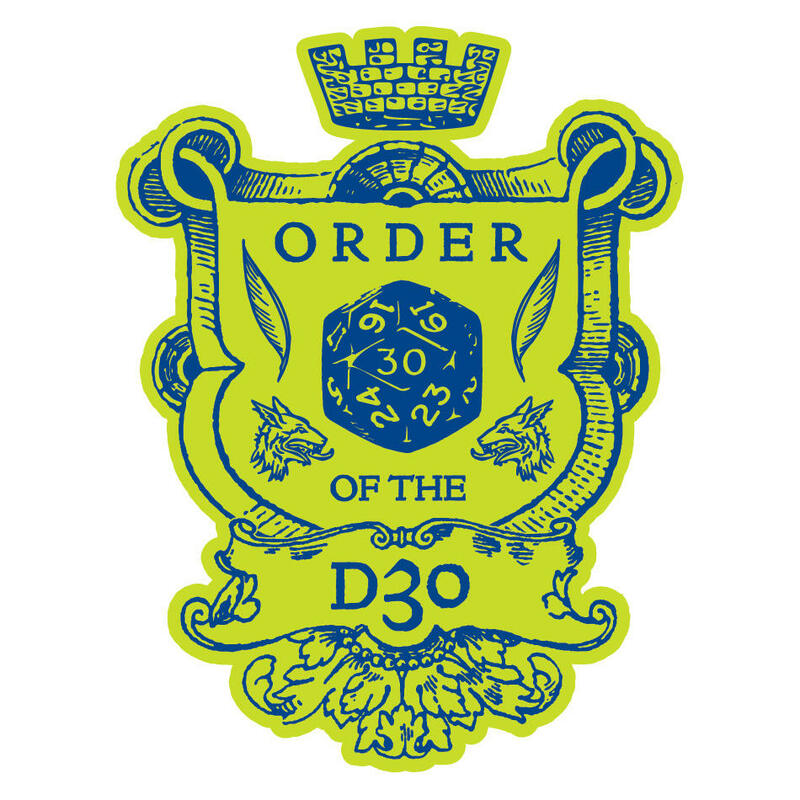 I'll preface this by noting that I prefer to use OD&D volumes II and III to roll up treasure for my classic games, no matter what rules I am nominally following. This has led me to notice a small but extremely meaningful change in gems, specifically. The Holmes edition contains a reworked gem table that changes two factors. First, it lowers the chances of high value gems, skewing the whole situation toward lower values. Second, it caps the value of increases at 1000 GP. The net effect is that, in Holmes, the value of the average gem declines to under 250 GP. This is quite a letdown, even though the rationale for removing gem values over 1000 in Holmes is sound: they could take the PCs clear past level 3 and out of the basic set's purview. Moldvay uses the same modified table as Holmes, but has no increase rolls. This further simplification shaves another 50 or so GP off the average gem, leaving it a few GP under 200. At this point we are less than half what we had in OD&D, and all through some evidently minor fiddling with the numbers of the chart. In play, this makes gems in an OD&D dungeon a very desirable commodity, since their values tend to run higher (and since, in OD&D, you tend to find 1d6 gems rather than a single gem at a time). 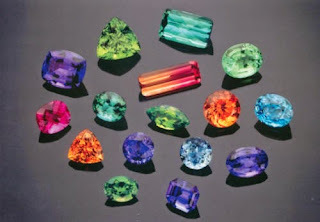 Gems are already the second best treasure in the game, after jewelry; after all, if one gem weighs the same as one gold piece but is worth five hundred, that makes a huge dent on encumbrance relative to value. In OD&D, it's worth taking a determined effort to specifically find gems in a dungeon. In Holmes and Moldvay, because their value is so much lower on average, it's not really worth seeking them out after level 1. Also, I think that the removal of the 5000+ GP gem values takes out a bit of the excitement of finding a treasure hoard. 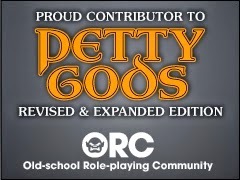 By allowing for that possibility in a GP-for-XP game, OD&D makes it really possible that an individual treasure will get some low level characters up in level in a single adventure. It also allows for some really impressive physical specimens - after all, isn't a lot of the joy of treasure hunting not just finding some average jewels but a massive pearl or ruby? If you can't find a diamond like the one in the film Titanic (which I figure would be in the 100,000-500,000 GP range), I think it diminishes gems as a vital part of the hoard. 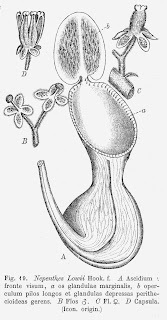 Reading about exotic South American mountains and their unique flora got me thinking about pitcher plants, which are also known as pitfall traps. These tend to be small, exotic plants that trap insects and convert them into nutrients. The pitchers of plants like Nepenthes lowii, pictured to the left, tend only to run as long as 35 centimeters (just over a foot). But this is Dungeons & Dragons; if there is one thing the game is good at, it's taking things and making them bigger. You probably already know where I'm going with this. Sticking a pitcher plant, particularly one with a snap-shut "lid" like Nepenthes lowii, in a D&D pit trap is a wonderfully nasty surprise. The hapless dungeon delver falls in, and all of a sudden they're trapped in a suffocating plant, trying to get some weapon free and cut their way out while they still have air left. Meanwhile the digestive liquid burns them as it starts to turn them into plant food. Their friends can to try and cut them out, but that's pretty dangerous. The tentacle of the sundew Drosera capensis is another nasty trap. When the long hairs are sprung, the sticky tentacle curls up and rolls its prey into more of its digestive juices. This one might, depending on size, do crushing as well as acidic damage as it entraps a character. These liquids should, by the by, also be doing a number on armor even if the PC gets away; a coat of mail or plate that is scarred and pitted by acid is no longer useful for defense. These can be in pit traps as well, or used as room traps in a weird sort of "garden room." It should be obvious why carnivorous plants are the kind that thrive in a dungeon, of course: lacking much in the way of sunlight, dungeon plants will consume flesh. And it lets you have plants in your underworld in a semi-logical way. 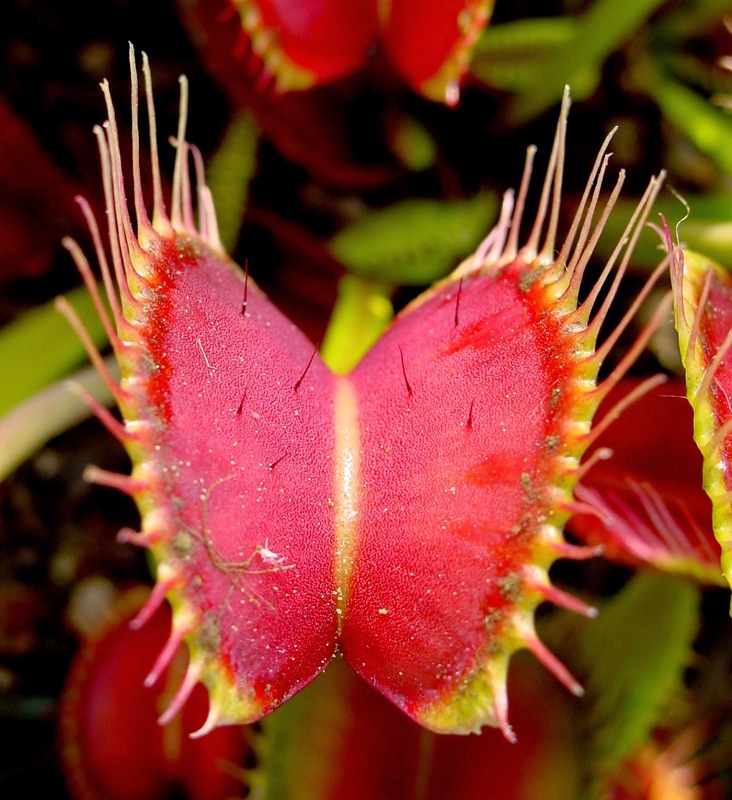 Of course, we can hardly discuss carnivorous plants without talking about the Venus flytrap. Once the trigger hairs on this plant are sprung, its powerful leaves snap shut and the unfortunate insect caught inside is done for. A huge flytrap can catch a single character, but a really massive one could even get a whole party. Again we're relying on the combination of crushing damage and acid to actually do in the character. The initial blow as the flytrap shuts might also do some damage. They're iconic and, like the pitcher plant, will pose the difficulty of freeing a trapped character without harming them. Dungeon variants might have hardened bristles that do damage while the flytrap closes. Plants, of course, are typically something we see only above ground. This makes their appearance in the dungeon setting startling, and clearly the sign of weird Chaotic mutation and/or a mad wizard's experimentation. Of course, you could always go full-on Little Shop of Horrors or Attack of the Killer Tomatoes as the end stage of dungeon carnivorous plants; but I think the initial horror of being consumed by a pitcher plant in a pit trap or caught by a giant sundew is a great way to incorporate some plant life into your dungeon crawls.